Vanquish Yachts has really out done themselves with the release of their new beauty the VQ48. The VQ48 has lots of freedom of movement and features a specially developed parasol for smart protection against the sun. Moreover, there is plenty of space for water toys under the settees. The VQ48 is the ultimate expression of the Vanquish driver’s boat proposition, offering stunning steering, awesome acceleration, immense agility and unrivaled seakeeping abilities. 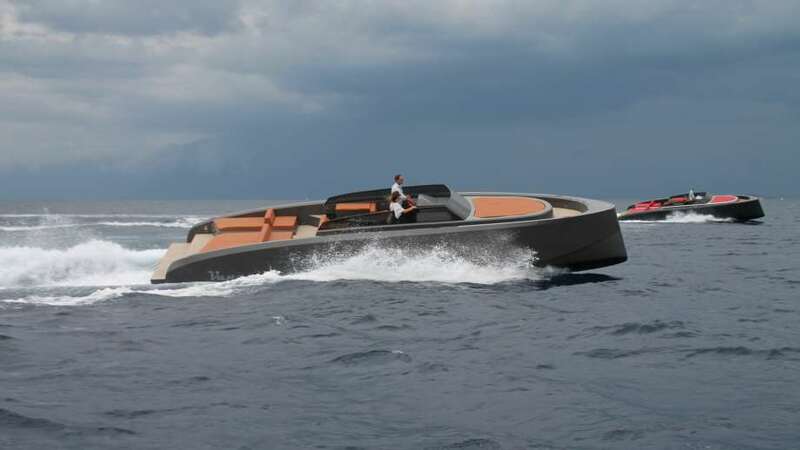 Not only did Vanquish Yachts just release the VQ48 they have plans to produce the VQ75 and VQ60. The larger VQ60 has the distinguishable clearly defined profile that characterizes the entire VQ line. The hull design is also fully maintained, thus ensuring the exceptional Vanquish sailing characteristics and high level of comfort in this motor yacht as well. The flexibility of the yard and that of aluminum allow Vanquish clients to fully customize their VQ60. A hard top is an option. Currently, in the engineering phase, the VQ75 is designed to occupy the middle ground between the lively VQ50 and the luxurious VQ90, while preserving all the distinctive hallmarks of a Vanquish yacht. Not only do they have all this going on they also have the VQ90 concept. The awesome VQ90 Veloce offers a pulsating 55+ knots of speed plus all the assets that have made the Vanquish brand so popular. Designed in partnership with Guido de Groot, this all-aluminium superyacht has a strikingly sleek and elegant exterior profile, the maneuverability of a 60-footer and exceptional stability. These water toys are the ones that will keep you out on the ocean for a while and feeling like you’re right at home. We will keep you updated on the release of the VQ75 and the VQ60 as they are closer to production. Make sure you don’t pass up the opportunity and check them out in out page! What the Heck is Glamping?